It was already going and when I tugged at the rear of the tonneau cover to remove it, it caught on the corner snapping it off in several pieces. Quite noticeable, especially as the rest of the C5 is practically immaculate. 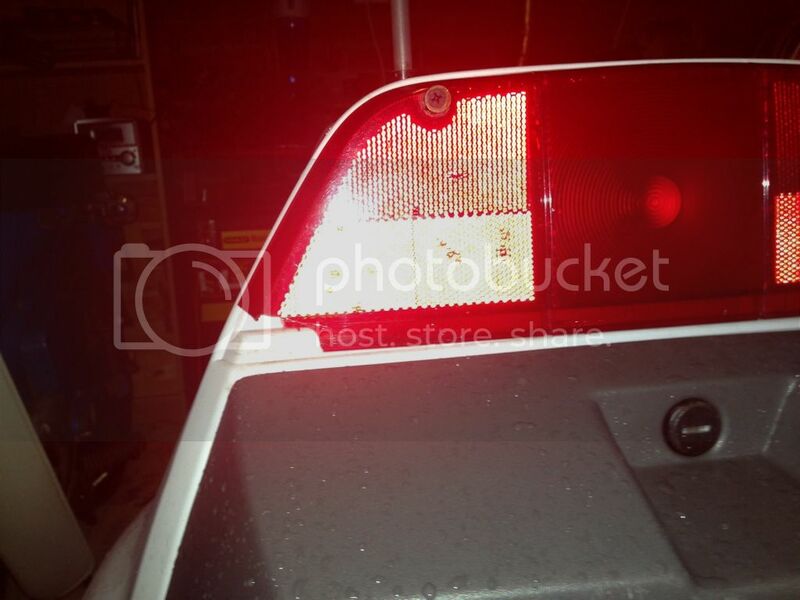 On the lookout for a mint replacement rear light. Nightmare ! (but rather common sadly) Can you not glue it back on if you still have the bit ? I put the bit that came off in the boot but couldn't find it when I got home. I don't think it's worth repairing the light anyway as the inside plastic has also cracked around the lip that keeps the bottom part of the light attached to the C5, and the corner was slightly chipped since I got it anyway. Nail polish?? How does that work? Chas have you been painting your nails again ? if you do decide to use nail varnish try it out on a hidden surface first, as it contains a high percentage of nitrocellulose, and this may attack the plastic. I don't think I'll be using nail varnish, I imagine it looking quite tacky.